On the hunt for a more supportive foundation? Why buy a whole new foundation when you can simply add a reinforcing bunkie board, such as the brand new Zinus Bunkie Board? But is the Zinus Bunkie Board really supportive enough to act as a simple fix for your existing foundation? Continue reading below to find out! Don’t have enough time to read the full review? Click here to slide down to the review summary. The Zinus Bunkie Board is perfect for sleepers who want a more supportive base without replacing the whole bed frame! Take 10% off your purchase with our exclusive discount! 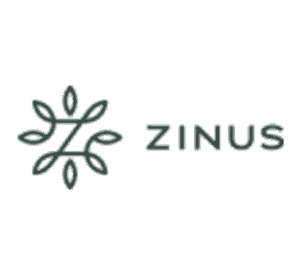 10% off coupon only applies if you purchase on Zinus.com. It does not apply on Amazon or other websites. The Zinus Bunkie Board combines a steel frame with 14 steel support slats. The slats are built with a quick lock feature, meaning they simply slide into their respective notches and lock into place. The base of the frame is held together by four steel bars and a support rod, which extends across the middle of the foundation and is held together by four screws. 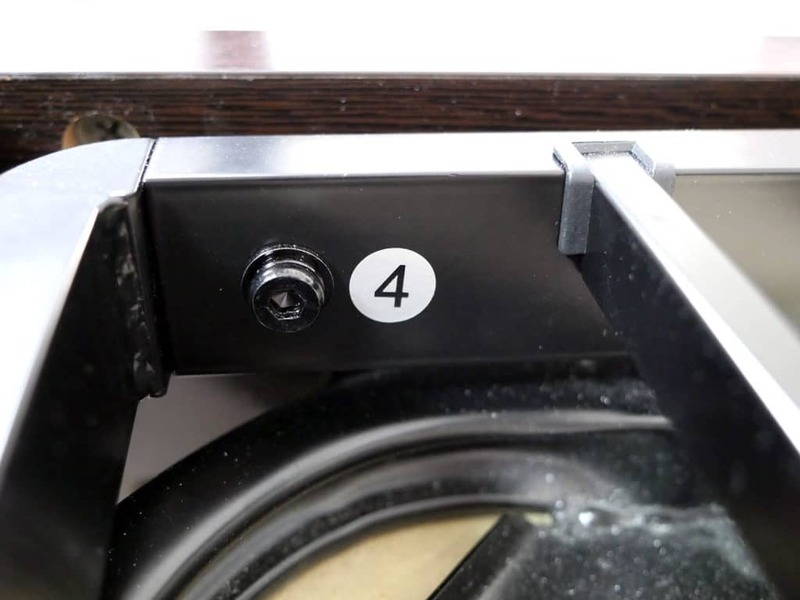 The four bars making up the perimeter of the frame are also held together by a total of four screws (one in each corner). Note – this is a “bunkie board”. It is not a standalone frame. This bunkie board is featured here as a support enhancer to my existing slat bed frame. This bunkie board weighs 31 pounds for a Queen size and is 1.6” tall. The assembly of the Zinus Bunkie Board was relatively simple. Including the unpackaging of each of the pieces, assembly took a total of about 15 minutes. That said, my cousin, Chris, was assisting me during assembly, which certainly sped up the time. This bunkie board can be assembled by one person, but by using two people, aligning the support rods is much easier and the time taken to screw everything in was certainly reduced. Each bracket is labeled by numbers for attachment purposes and is held together by a screw for additional support. Each of the screws was tightened with an L-shaped Hex wrench provided in the packaging. Once the perimeter of the base was assembled and tightly screwed into place, we rested it on my current bed frame and inserted the support slats. 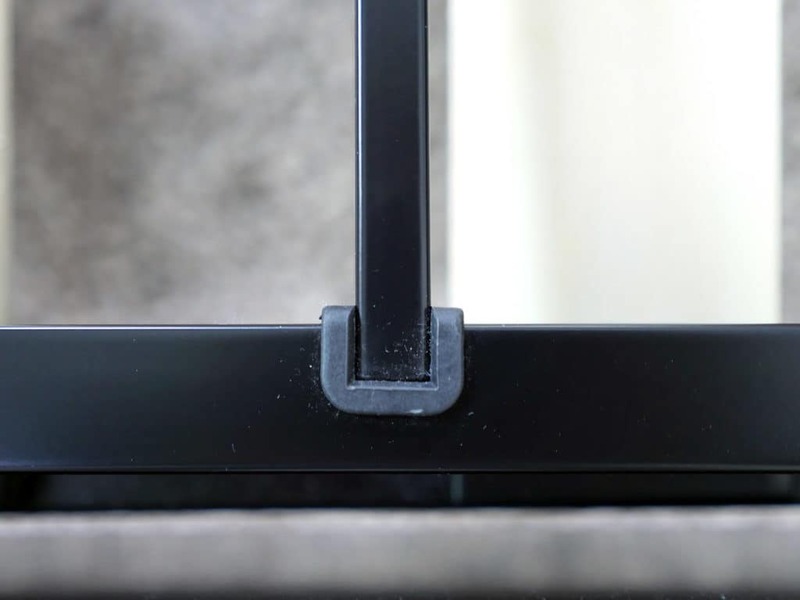 Each slat fits nicely into a little notch located on both sides of the base. All together, assembling the Zinus Bunkie Board was fairly easy and quick. The Zinus Bunkie Board provides a great support. When testing this bunkie board, I placed it directly on top of my existing slat platform bed. By doing so, I was able compare the support of the bunkie board / platform bed combo as compared to the support of my platform bed without the bunkie board. 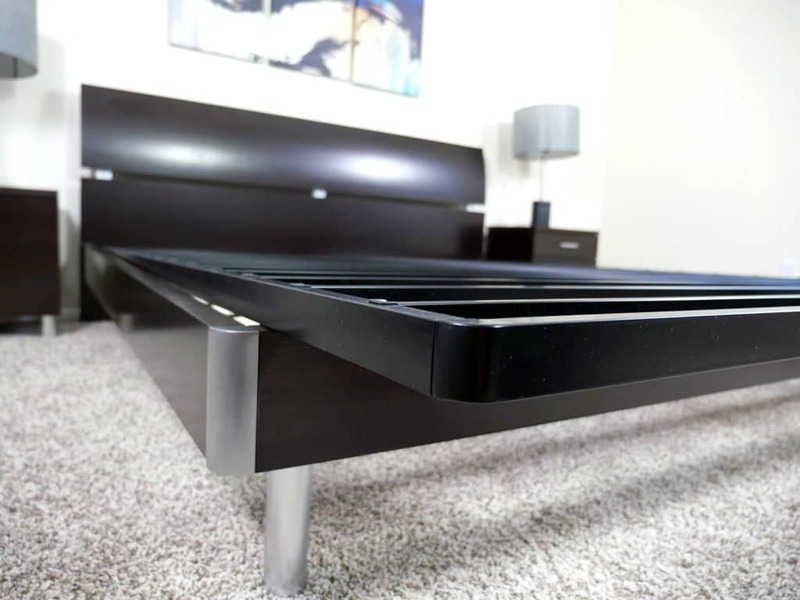 While the Zinus Bunkie Board may appear virtually invisible on some platform beds / bed frames, the support offered by this foundation is impressive. The slats sit 5″ apart and are reinforced by a center rod, which extends across the entire foundation. As noted, I placed the bunkie board on top of my flexed slat platform bed. By doing so, the bowed slats were no longer affecting my mattress, as the bunkie board sat between my mattress and the platform bed. The 1.6″ profile of the bunkie board helps create a more supportive base, as it acts as the supportive reinforcement of my existing platform bed. The bunkie board can also be used on the ground and I would expect to see similar results, but this specific bunkie board is designed to be placed atop an existing foundation. The one small flaw I found with the Zinus Bunkie Board was the lack of friction between my mattress and the bunkie board. As I placed my mattress on top of the bunkie board foundation, I noticed the mattress was able to slide around quite easily. I even leaned up against the mattress getting into bed one night and noticed the mattress began sliding away from me. 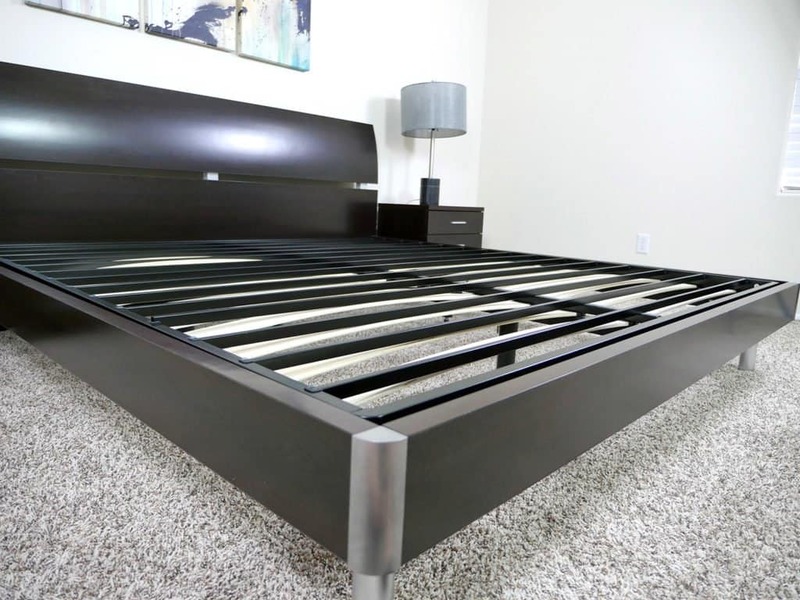 This tends to be the case with many steel bases, but I would have liked to see Zinus add some sort of grip to the top of its bunkie board to avoid the slipping and sliding of the mattress. To remedy this issue you may consider adding a non-slip grip mat. Once I had the Zinus Bunkie Board fully assembled and ready to roll, I put it through a short series of tests. These tests were put into place to provide insight on how sturdy the foundation is from different angles, positions, and weights. Shake Test – Throughout this test, I walked around the bunkie board and literally shook the foundation from all four corners. This test was designed to measure how much force can be placed on the foundation without the screws coming loose. The Zinus had no issues whatsoever with this test. Additionally, I shook the main supportive rod stretching across the middle of the foundation and the screws remained intact as well. Sitting Drop Test – The sitting drop test is a measure of how the bunkie board will react when I stand up and drop all of my weight onto the base, in a sitting position. Standing Drop Test – The standing drop test is similar to the sitting drop test, but it does place a little more stress at direct points on the foundation. That said, the mattress helped soften my landing, reducing the amount of stress placed on the foundation. Flop Test – The flop test refers to literally flopping all of my weight onto the mattress / bunkie board in an abrupt manner. This test can be thought of as the way you fall into bed after a long day at work. After I dramatically fell onto the mattress, the bunkie board remained supportive and did not seem to suffer damage, however the mattress did slide around a bit. Hammer Test – Finally came the hammer test. To my surprise, the Zinus Bunkie Board was quite resilient to forceful strikes from a hammer. After beating on the foundation at several different points, the only damage I noticed was a few cosmetic scratches. This bunkie board was able to absorb the energy from the hammer without bending or breaking. Overall, the Zinus Bunkie Board passed my durability tests without any notable degree of damage. Should I buy the Zinus Bunkie Board? All in all, I’m a fan of the Zinus Bunkie Board. The low profile, supportive slats, easy assembly, and durable design all come together to help create a well-rounded, supportive base that can be added to virtually any foundation. The low cost of this bunkie board is another plus, as it offers sleepers an easy alternative if they don’t want to go through the process of purchasing a whole new foundation. 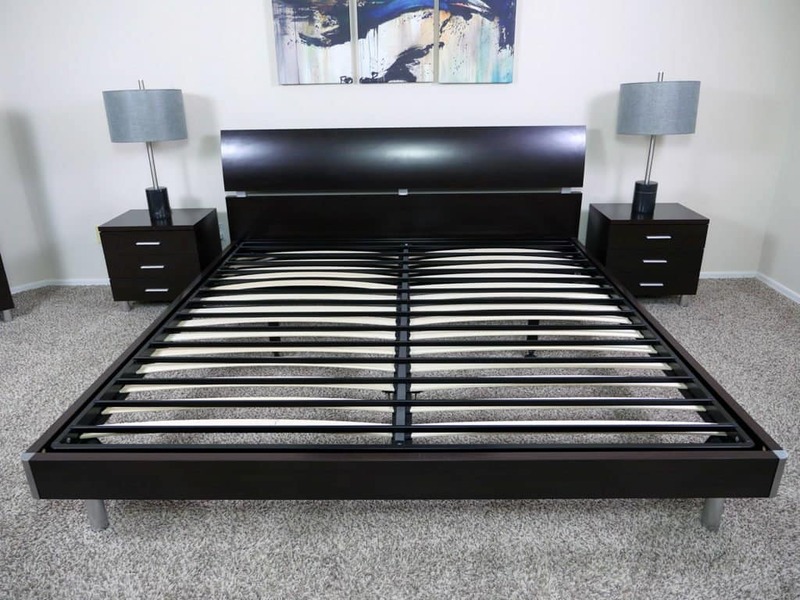 Want a more supportive base, but don’t want to buy a whole new foundation – The Zinus Bunkie Board is a supportive foundation for most mattresses and can be a great option for the sleeper who is looking to add support below his or her mattress, but would rather not replace the entire bed frame. 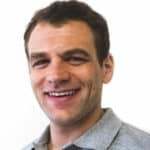 Want to improve the support of a slat frame – slat frames, especially flexible slats, are more prone to support issues. Adding a bunkie board is a great way to add support without changing the style of the frame. Like the idea of a thinner base – This bunkie board sits at 1.6″ thick, giving it a much lower profile than a lot of foundations I’ve tested. Are on a tighter budget – At $65 for a Queen size, the Zinus Bunkie Board is a good option for the sleeper who needs a more supportive base but cannot afford to spend a lot of money. For more information on the Zinus Bunkie Board, check them out on Amazon or on Zinus.com. The Zinus Bunkie Board is a thin, supportive foundation designed to add support to your mattress whether it’s placed on the floor or on top of your existing foundation. The combination of a simple assembly, resilient support slats, and a sleek, modern look helps to create a well valued base for your mattress.